Great forum - recently joined. Had my 04 Liberty GT Auto for four months now. It's my daily and replaced my previous daily SS-V VE. - Twist Mount Garrett GTX3076 Turbo - Dual ball bearing, Billet wheel, 0.82 Garret Rear Housing, 0.60 A/R 4" Inlet ported compressor housing, 3" V band outlet. - Subaru OEM Auto trans cooler mouned behind front mount intercooler. 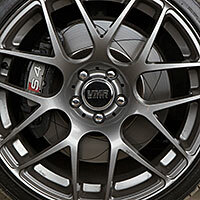 - Petter Solberg Special Edition\Prodrive EUDM 5x100 Sti Wheels - titanium Gold. - 07 GTB Centre Console \ shifter surround. - 2 x Focal P33 V2 13" dual 4ohm voice coil subs in sealed box. 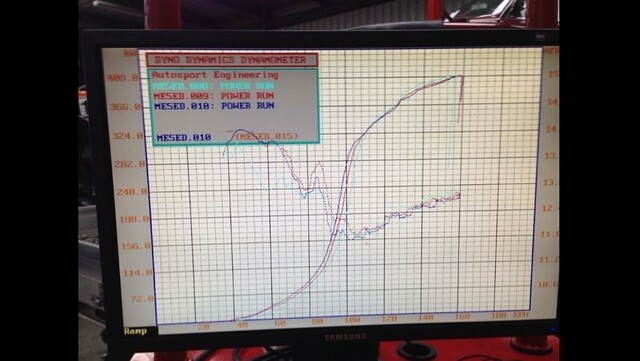 Initially made 172kw atw @ 15.5psi, peak torque 460nm @ 2500rpm on pulse dyno with pulse reflash. Then was retuned by matt (Kido Tuning) in August 2012 and made 255kw atw and 798 nm of flywheel torque at 2800rpm on e85 and 218kw atw on 98. Has a run a best quarter mile of 12.21 seconds @ 107.5mph (best mph to date of 111mph). Will hopefully crack an 11 with the auto 5 speed box soon. Latest tune on 30th August 2013 made 307kw atw with a restrictive exhaust, which has since been derestricted although has not gone back on the dyno but 126mph trap speed indicates at least 330awkw. Last edited by dr20t on Wed Jul 27, 2016 9:15 pm, edited 25 times in total. Would definitely recommend the sway bars (rear especially if you're doing this in stages). I've emailed Process West about a TMIC for the pre facelift and I don't think they've ever fitted onto this model... RomeSti has it on his post facelift though. If you're near them they might be able to test fit? I would love to get this TMIC but didn't want to risk ordering one and finding out it couldn't be done. 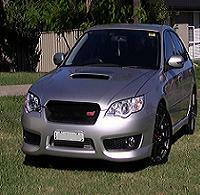 I think Rota make a tuned by STi style rim. Of course... post up some photos mate. Looks good mate, looks like similar upgrades I have coming up so very interested too see how it all goes! I knew the Process West wasnt a direct fit as such but have read about those who have made these fit. Failing this, might look into a hyperflow one when the turbs is upgraded. 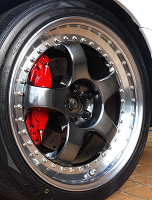 Yeah I've seen the Rota wheels theyre not too shabby - anyone know what they weigh compared to standard 17" 5 spokes? dr20t wrote: I knew the Process West wasnt a direct fit as such but have read about those who have made these fit. Hey Mick, can I ask where you read about this for the prefacelift? The TMIC is my most likely next upgrade ... same plan as you, will go hyperflow if the PW is in the too hard basket. Are you sure it's a pre facelift they are talking about? Last edited by teflon on Mon Oct 24, 2011 12:59 pm, edited 1 time in total. 172awkw... wow, that's a very happy tune! tanglca - yeah its not bad - thanks - but as i said even if that is overstated as some claim pulse dyno figures are, then its no issue and still goes very well for what it is ! Have confirmed with Kevin that the US car with the PW TMIC is a prefacelift. Turbo outlet is different, but still fits. I think I've just found my next mod! Thanks Mick for reminding me about investigating this again! teflon wrote: Have confirmed with Kevin that the US car with the PW TMIC is a prefacelift. Turbo outlet is different, but still fits. Just dont blame me for a more empty wallet ! Nice mods list to date. Wouldn't get too excited about a twin scroll, a vf34 works pretty well. Talk to AandMauto about fitting one. Also, don't be a sissy, go a front mount.